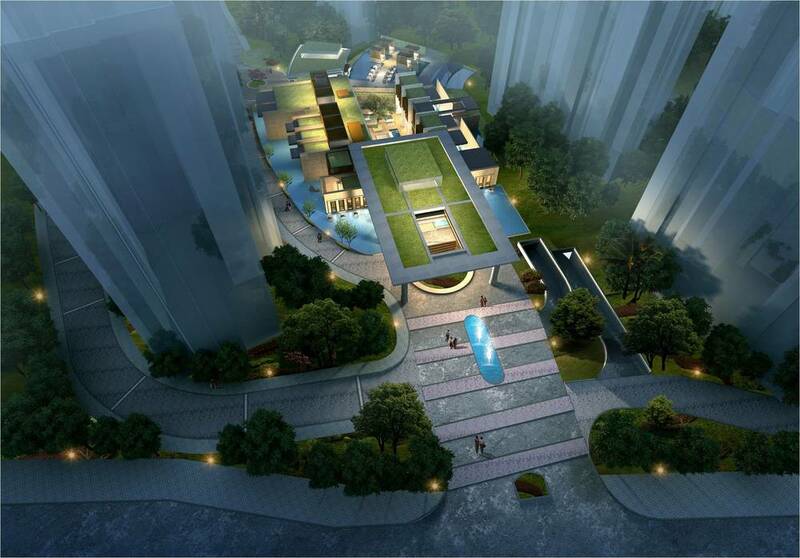 Set in a picturesque riverside development in Foshan, a mere few hours away from Downtown Guangzhou, the New Lingnan Greens Clubhouse project aims to link Foshan's Architectural heritage loosely via a contemporary re-interpretation of its proportions and form. Due to programmatic and zoning limitations, this Phase 1 Clubhouse project is only allowed to rise a single story within the sprawling site. 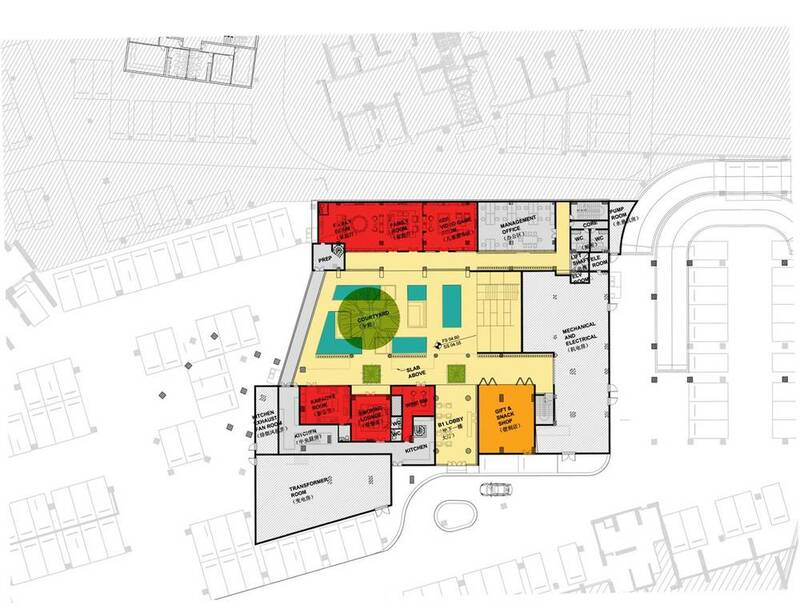 Therefore the two-story shophouse mirror the form of regional style Lingnan-Architectures, which utilised within the main courtyard as programmes are dispersed between Ground Level and the Basement to make use of full the available site. Programmes on Ground floor include a Restaurant, a private banquet spaces, VIP meeting spaces, Tea Rooms, a Cafe, and an outdoor lobby space. Basement floor plays hosts to more private functions such as family rooms, kids rooms, Karaoke Room, Wine Room, Smoking Lounge, a Gift Shop, a Gym, and Back-of-House Full sized Kitchen, and a Basement 1 Lobby space. Other functions include mechanical equipment rooms and the Transformer room. 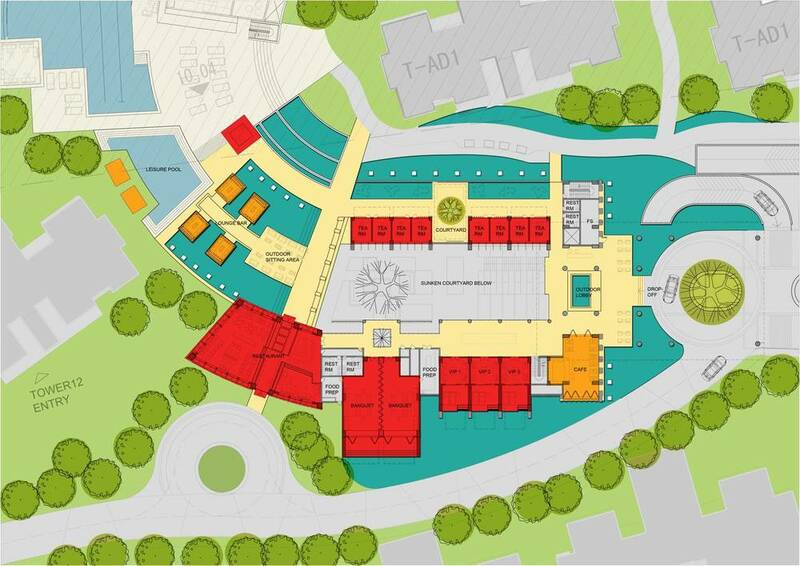 The Central courtyard on the Basement floor is anchored by a two-story tall tree and water features which cascade from the main Lobby at Drop off and pools down in the Central courtyard around this big tree. Client: Sun Hung Kai Properties, LTD.